Whether you have a small or large business model, managing the intricacies of the technical side of your business can be a challenge; especially if you do not know the ins and outs of current technology. 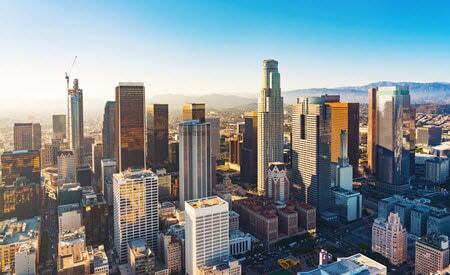 In Los Angeles, where the business world is highly competitive, maximizing the efficiency, productivity, and fluidity of your business is the only way to increase profit and cut down on costs, making your business a stand-out success. Managed service providers, or MSP’s, were established to help expand businesses and increase prosperity. They administer outsourcing for companies where the complexities in the function of the enterprise can be managed remotely by professionals with the knowledge and skills that are required to do so in today’s technologically-driven world. MSP’s work on a subscription-based framework that is convenient and reliable for all business owners and managers. Rather than depending on providers that are only collaborated with on a single basis at a time, managed service providers are with you through every step of establishing your business and maintaining your business. Managed service providers are invested in your business as you are, and their goal is to increase productivity while extending the longevity of your company. MSP’s provide services that manage networks, communications, and mobility to streamline your company and cut down on costs of employment and research. They also improve various technical systems operations, business planning, and accounting and payroll services that make your business stand out in efficiency and productivity. Most recently, cloud services have become the most effective storage and processing programs; this aspect of the technology era is still new, and most businesses need support managing these programs. MSP’s are experts in cloud service management and will help guide you through all your cloud service organizational needs. Staying up to date on technology has become a challenge in and of itself; it seems every day there is a new development in business-related technology that can help businesses run more effectively. For a business owner, it can become difficult to manage all the facets of business functioning, particularly in the realm of applicable technology. In the information technology era, MSP’s conduct business-related support that employ skills in the practices of current technology that most benefit companies in today’s society. For years, Fortune 500 companies have attributed success to MSP entities—without MSP’s, it is debatable that the success of many of these companies could have reached their notable success. It is heavily due to the facilitation of MSP’s that companies can yield such impressive results. Rather than seeking out a service on your own accord, MSP’s are responsible for holding the burden of business delegation. Outsourcing can become stressful for anyone attempting to make a streamline business approach. When you enter a contract with an MSP, it becomes the MSP’s job to make sure your all aspect of your business are running smoothly; they assess the functionality of your business, take the steps necessary to enhance your business, and increase efficiency by hiring necessary entities when needed. Without a managed service provider, the business world can be a scary place, particularly in established industrialized cities where the success of your company relies upon its overall performance. Hiring professionals who are trained to elevate the competence of enterprises is an important step to take if being lost in the world of technology concerns you. One of the best qualities of MSP’s is the flexibility associated with them. If you cannot be a hands-on business owner, or you simply do not have the knowledge or skills to take your business to the next level of production, MSP’s are a great option. This ongoing service provides invaluable support that is necessary to any company’s survival. They give network solutions that will take your company to its most heightened level of productivity and find individualized business planning that is strictly relevant to your line of work. This can propel any business beyond competitive companies. Whether a small or large company, MSP’s will give your business the look and feel of a Fortune 500 company with ease. MSP’s provide the innovative solutions to all your technological and business-related needs.